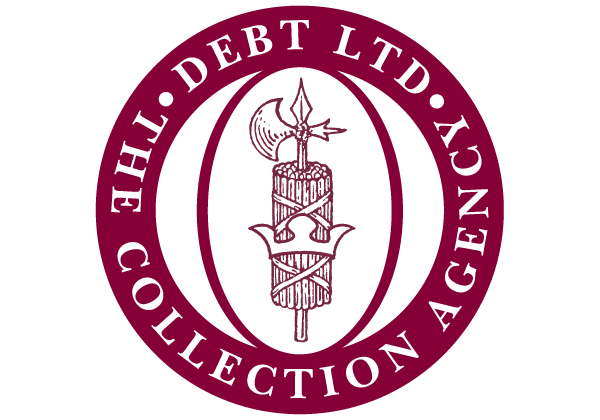 Debt Ltd, a corporate debt collection company formed by High Court Enforcement Officers, offers best-of-breed solutions for clients who are looking to retrieve money from recalcitrant debtors but who don’t want to go through the courts. The company’s agents, all government-trained HCEOs, already cover England & Wales geographically; they needed to be united to administer to clients’ pre-court needs in a way that the owners of Debt Ltd could monitor. They wanted to start the company off on the right footing by having as much of the company’s business transacted over the web as possible. Finally, their roving afgents needed to access data, documents & photographs, even if they were on the road. A project like this is a massive undertaking, no matter how you slice it; to make matters more difficult, ardes were consulted before the company was even formed, when the company’s procedures were still in flux. For many web design firms, this would be a recipe for disaster. For ardes, it was an opportunity to put one of our web application frameworks to good use. Our lead programmer helped develop the PHP-WACT framework—this framework accelerates the development of PHP-based web applications. Over the years, we had enhanced the framework with our own additions that have accelerated our development process that much more quickly. 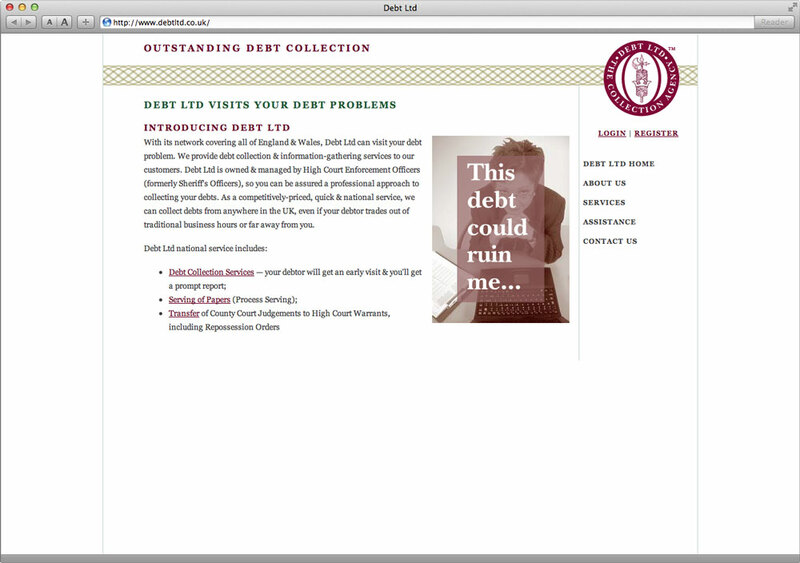 Our framework not only lets us develop sites like Debt Ltd’s quickly, but securely & on budget. Our work scales nicely, so if you have 20 customers or 2,000 online at any time, you’ll find that your site can handle the workload with ease. As with any of the sites we create, we first interview our clients exhaustively about how they go about doing their work—you will waste time & money if your site doesn’t mirror how you do your work in the real world. Debt Ltd’s requirements were unique: not only was the site to be automated, but there had to be many ‘stop points’ in the system to ensure that the company always retained a human touch. When you’re dealing with sums this large for clients such as BT, you need to make sure that the system helps you maintain your relationships. Let’s say that you own a company suffering from a massive debt. After registering with Debt Ltd (it’s rare that a company has only one debt), you submit information about your debtor. The Debt Ltd system automatically routes the case to the agent closest to the debtor. After visiting the debtor, the agent writes a report which allows you to make an informed decision: pursue the debt or abandon it. If the agent can retrieve funds, they’re placed into your account. So far, it sounds like any other debt collection system: what’s so special about this? For one, everything is monitored: how long it takes the agent to pick up the case; the length of time between taking on the case & submitting an Initial Report; when—or whether—the client reads the report; the length of time between taking on the case & its conclusion; and much more. With the system ardes created, Debt Ltd has been able to maintain Quality Assurance from the very start. It has moreover allowed the company to achieve ISO 9000 status from the beginning. ardes’s system lets the company’s directors monitor the state of any case in the queue. The permissions system is not unlike the layers of an onion: the agent’s operatives see the cases assigned to them; the agents can track the progress of their operatives; and the company directors can track the performance of different agents to see where improvements can be made, or where their mobile team has to be assigned to pull down the caseload. Because of the legal background of the directors & agents, the logo had to convey a legalistic look. In order to save stationary printing costs, the design is one colour: a rich wine-red. In order to convey a legal background, ardes created a logo based upon the ancient Sheriff’s coat-of-arms. Moreover, we placed it within a monogram—intended to look like a seal. Graphically, the company’s logo & website had to convey sobriety of the financial industry. Elements on the website echo the engraved designs seen on Sterling notes in order to convey, in a subtle fashion, the purpose of the company. ardes also decided upon the use of Flash animation technology for the home page to heighten the company’s marketing message: that they help companies who think they’re beyond help. One of the aims ardes always have in mind for any website we create is “Return-On-Investment” (ROI): how quickly what we make for you will cover the costs of development. Our customers are very fortunate: by picking us, they’re getting a company & web application frameworks with proven track records. Debt Ltd’s website—a mission-critical virtual office with secure, permissions-based document dispersal—cost them one-fifth what other web development companies could hope to charge. Their virtual office & minimal maintenance means that they achieve nearly 100% pure profit. Now that’s what we call return on investment! See more examples of our web design & corporate identity design.